Ant & Owl | Anything. Everything. Nothing. 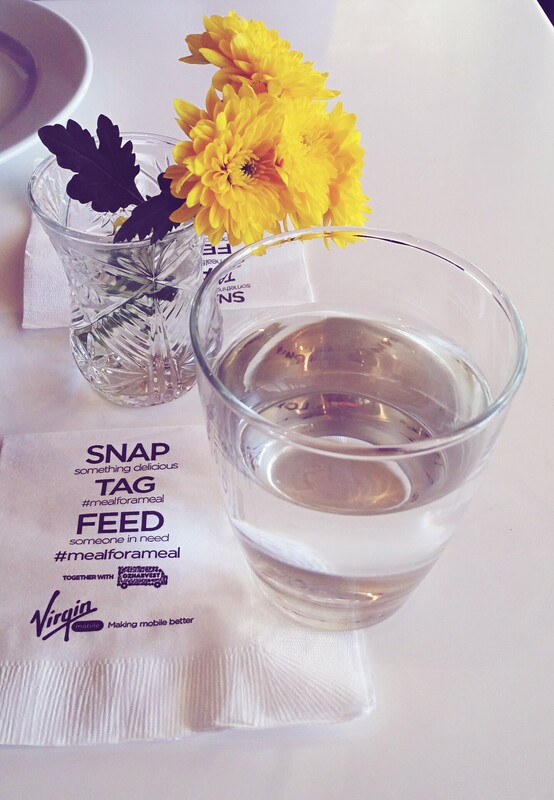 Did you know that $8-10 billion worth of edible food is wasted each year by Australian households alone? That is twice the amount of foreign aid Australia gives! 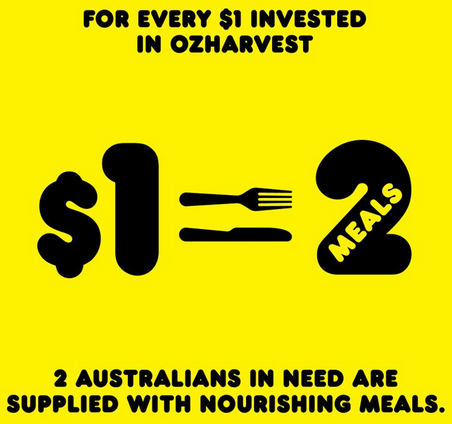 OzHarvest is a non-profit organisation that has been rescuing surplus food meant for the bin for over 10 years and distributes it to 600 charities nationally. It is the only organisation in Australia who performs this work, and has converted over 10,780 tonnes of food destined for the landfill, into over 32,340,498 meals to date. 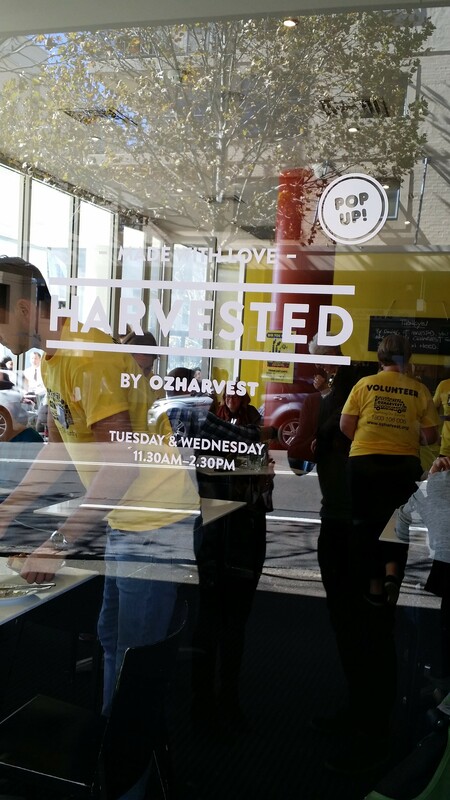 Today, OzHarvest launched their pop-up cafe ‘Harvested’, which makes delicious meals out of rescued food for the public. Owl and myself have been supporters of OzHarvest for many a year now and were super keen to check the cafe out. At only $15, you can choose as many dishes as you like from a menu that changes daily, depending on what they have managed to rescue. Dish size depends on the number of people on your table as all dishes are made for sharing (except for soup dishes). The following dish sizes were for two (Owl and me). The pide was soft with a slight bite to it, like when you use some spelt flour. 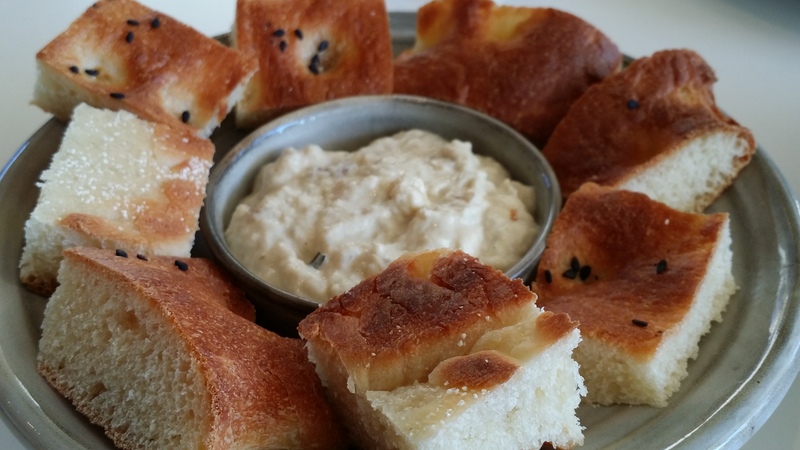 The labneh was smooth, creamy and was gloriously smokey with garlicky undertones. This dish drew you in with its promise of warmth and comfort, and it did not disappoint. 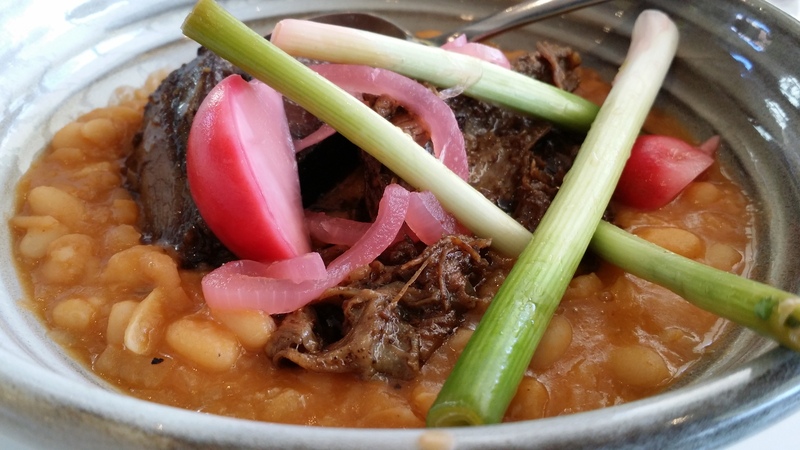 The beans were creamy and nicely balanced (not too salty like some places), and the lamb was braised to perfection. It was soft enough to portion with a butter knife and yet was distinctively and intensely flavourful. I was quite enamoured by the cute little pickled radish which added colour, texture and also cut through the rich lamb and beans beautifully. As an after-thought, Owl and I asked for a dish of the ‘Charred veggies with yoghurt and sesame spice‘. 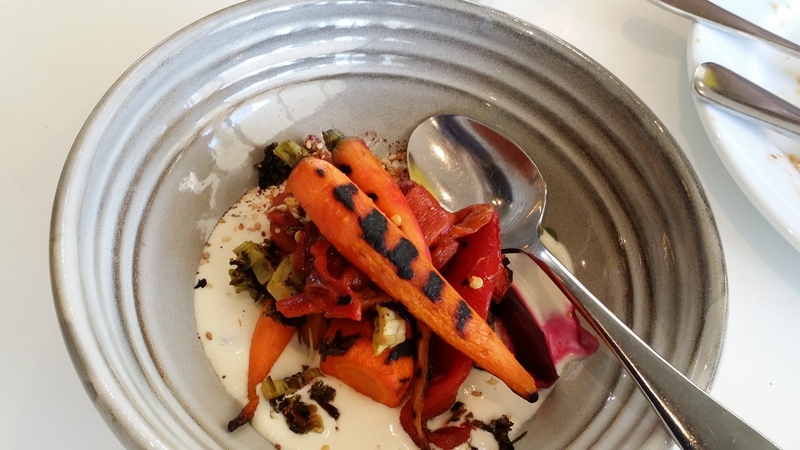 Although very pleasant and not cooked to mush, it pretty much tasted like charred veggies with yoghurt and dukkah. I did notice the cleverly added bits of roasted kale which added to the nuttiness of the dish. The beetroot also added beautiful pink swirls to the dish, enhancing it’s visual appeal even during consumption. The glass-walled restaurant was sunny, relaxed and friendly; with passion exuding out of all the volunteer waiters and waitresses there. Ronni Kahn, the founder of OzHarvest, was there to greet all the guests and make sure everything ran smoothly (which it did!). Everything was just beautiful and a big kudos to everyone who made this project such a success. Keep up the good work, guys! 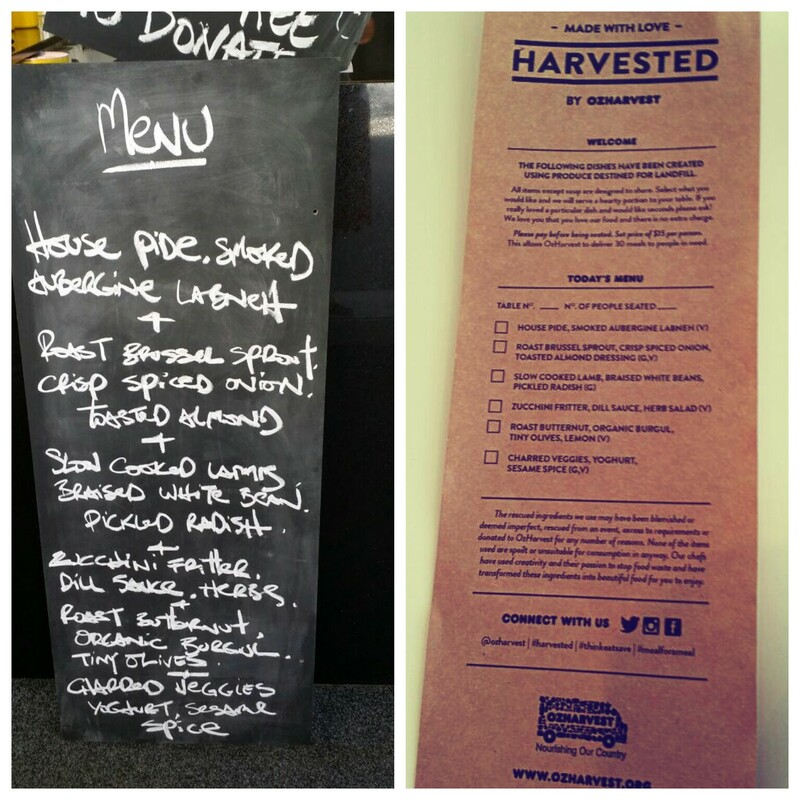 Harvested is only open for lunch on Tuesdays and Wednesdays from 11.30am – 2.30pm. No bookings taken so hurry – they are said to be closing at the end of July 2015. If you cannot make it, fret not. 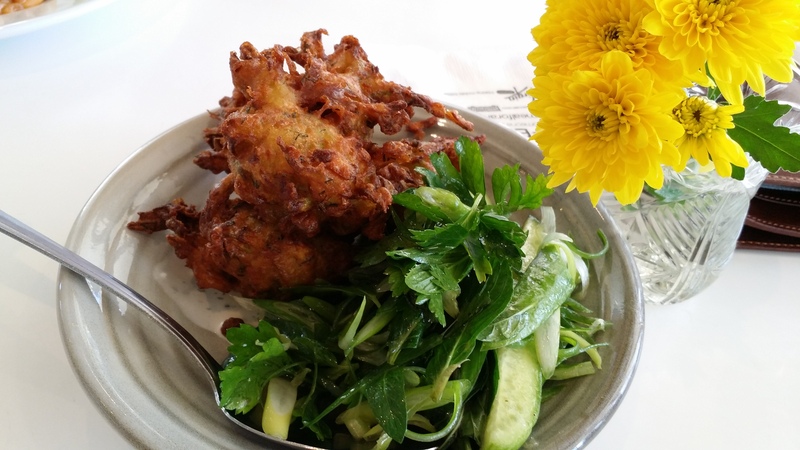 Baraka, another pop-up restaurant from the founder of Chic Pea has opened in the same place and will donate part of its proceeds to OzHarvest. 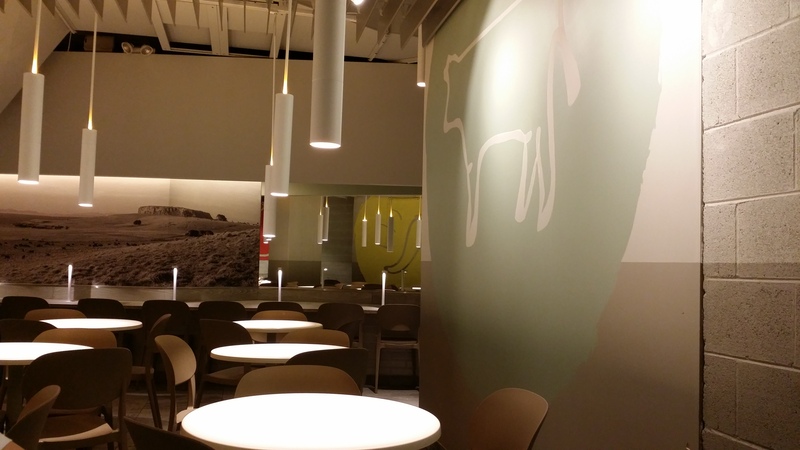 It opens for dinner Thurs-Sat from 6pm. Bookings will be taken. Perhaps Australians are not too far behind. As you know, today is Ultimate Pi Day because, according to the American system of writing dates, it is 3.14.15 and ultimate π was technically achieved at 9:26:35. For all of us that follow the “normal” (lol) system, I think we don’t really get to celebrate it until the 3rd of January 4159 but like that’s ever gonna happen so I’ll take this one for now. Owl and I always try to celebrate pi day with some pie but Dinky Di’s was on the wrong corner from Antidote coffee so we just had pizza (also called pie in America … Yes to them everything is pie) and watched a movie. We like to use Lebanese bread as the pizza base because it gets crunchy on the rim yet stays moist where the toppings reside. 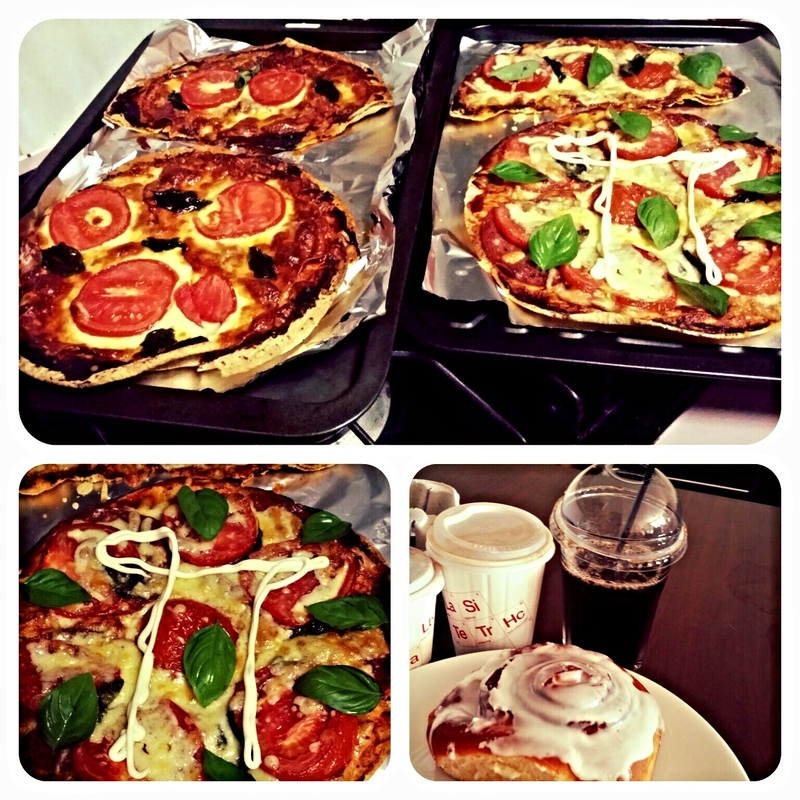 It is also not so thick as to fill you up (= >π) but strong enough not to fall apart when you pick up a slice. I ran out of Sriracha so Kewpie had to do. Hope you all had a mathematical π day, as we did (or will have for all our American and Pacific Islander readers), and Happy Ultimate Pi Day! p.s anyone notice they were showing the Life of Pi on TV tonight? The geeks live amongst us yet! p.p.s missed the midnight deadline by 4 min. Darn! A solution to try for Spider Mites on your plants! For the last four or so years we’ve maintained two greenhouses on our balcony – growing chilli, oregano, mint and parsley. We also used to have basil (which Spider Mites destroyed), a single coriander shoot called “Dolly Parton” – because it was heavy and flopped over and Rosemary, which never took off. Most of the plants did reasonably well until they were hit with a double whammy infestation (against the odds of being elevated on a balcony and inside a greenhouse)! The first infestation was a moth, which led to caterpillars – those fat green juicy ones like in A Bug’s Life. The caterpillars required patience and picking them off one by one to remove the infestation. Needless to say, these came back a few times as you always miss one. Once those bite mark like holes start showing, you know it’s too late and you’ve already got a family chowing down on your plants. The second infestation, which was much harder to get rid of and literally sucked the life out of all my beloved basil plants (three separate bushes) – was due to the difficult and dreaded Spider Mite! The first Basil plant was the weakest and succumbed to the fact the Mites drained the nutrients out of its stalks. The other two were better established and lasted a little longer, but since I didn’t want to use chemicals as I wanted to eat from the plants, I resorted to meekly trimming the plants – which only delayed the inevitable. In hindsight, I should have tried the method below earlier! My Parsley was the only plant left after the initial Spider Mite infestation so they naturally migrated onto it and started to kill it too. A few weeks back, I trimmed off all the leaves and left pretty much just the stalks – but I knew this likely wouldn’t work. So I decided with nothing to lose, I would try the combination of Garlic and Chili sprayed over the plant and surrounding greenhouse. Boy am I glad I at least tried, it worked a treat! I sprayed the area only twice in a period of a week and the Parsley seems to be Spider Mite free. I was able to pick and eat the Parsley for the first time last night since this all started a couple of months ago. It no longer has the off colour of looming death, and the leaves look nice and healthy as you can see in the pictures of the leaves below. I unfortunately (or maybe fortunately for you) did not take any pictures of the infestation/Spider Mites – but if they come back I will update this post with pictures. So if you have Spider Mites – you’ll be able to see by the reddish/orange leaves and the webbing they weave on the leaves. Try this very natural and chemical free solution! Chop and crush the Garlic, you want the garlic juice to infuse the water and likewise do the same with the Chilli – just don’t touch your face after handling it. Put them into a small Jar and pour hot water from a kettle into the jar – so you get about a cup of hot water. Leave this to sit and cool down. Once this is cool pour the water into a spray bottle that you don’t mind smelling of Garlic from now on and add water if it’s not enough to get a good spray – just don’t dilute it too much. If you don’t have enough you can just re-boil what is in the jar. Try to strain out any chunks of Garlic or Chilli when transferring to the bottle so it doesn’t clog the spray nozzle. Spray all over the plant so it’s saturated – under the leaves and stalk and into the soil too as the Spider Mites can sometimes hide there. Spray the surrounding area if it’s enclosed or the nearby vicinity just to make sure the mites go away completely (read that as die). Repeat this a couple of times and check your plant in a week or so. Note: don’t keep the solution too long in the spray bottle as it’ll start to smell/rot. Leave a comment if it ends up helping your plants at all! We’d love to hear of more victories against these little buggers. 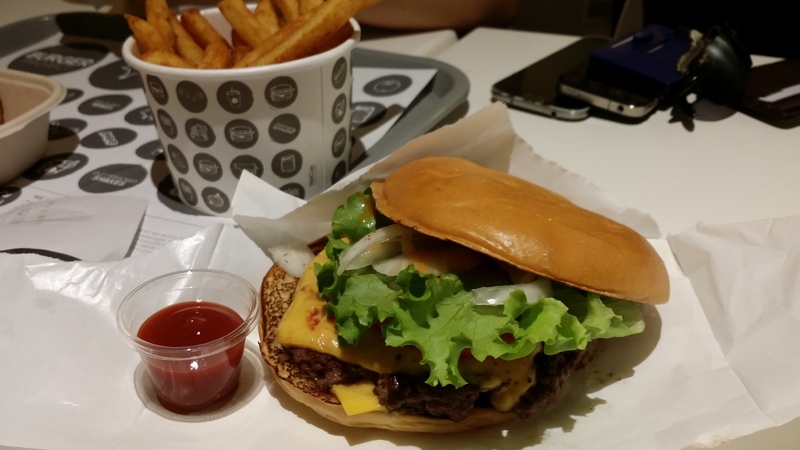 As you all know, Neil Perry opened a burger joint next to Din Tai Fung at World Square. It offers the same 36 month grass fed Cape Grim beef (albeit the chuck and brisket cuts) and triple-cooked fries as Rockpool Bar and Grill, but with a more chill atmosphere and affordable price tag. Now, I’m not going to explain the flavours in detail. There are plenty other blogs that do that; I’m just here to give you more pictures of stuff on the menu. Suffice to say I was pretty happy with the food here and I’m not sure the bad reviews on Urbanspoon were warranted. Especially considering everything was under $10. Triple fried chips with smokey chipotle chilli sprinkles. The alternative was just +salt. 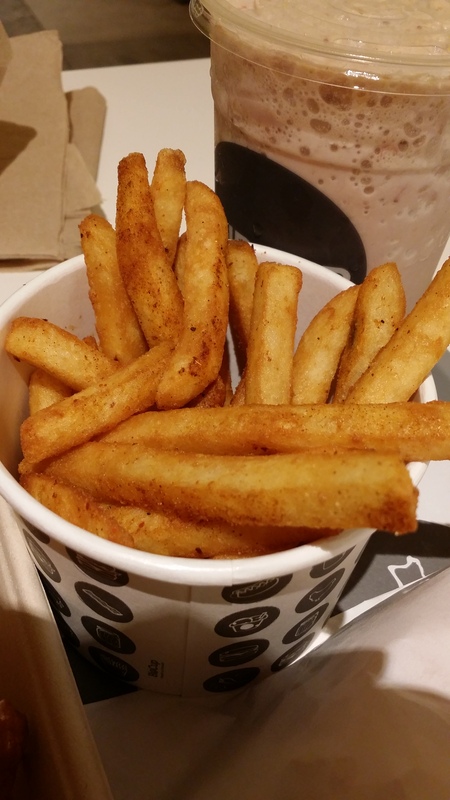 These babies were perfectly crunchy on the outside and fluffy on the inside, even the ones at the bottom of the cup! The seasoning was very tasty and not spicy. 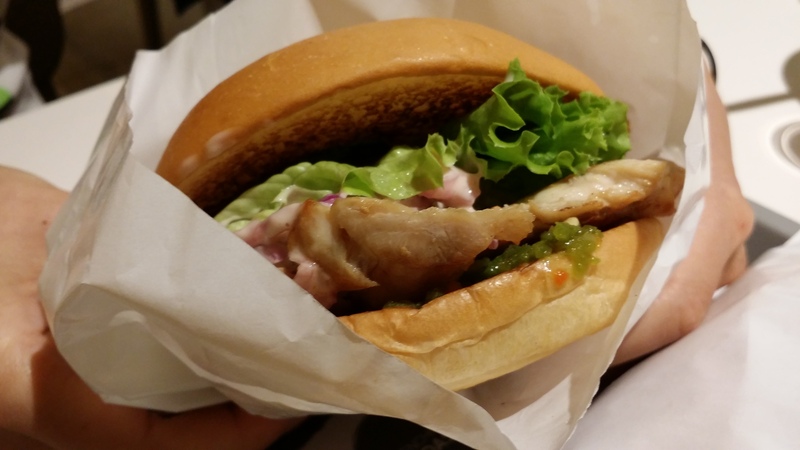 Spicy Chicken Burger. It is what it is except, not that spicy. 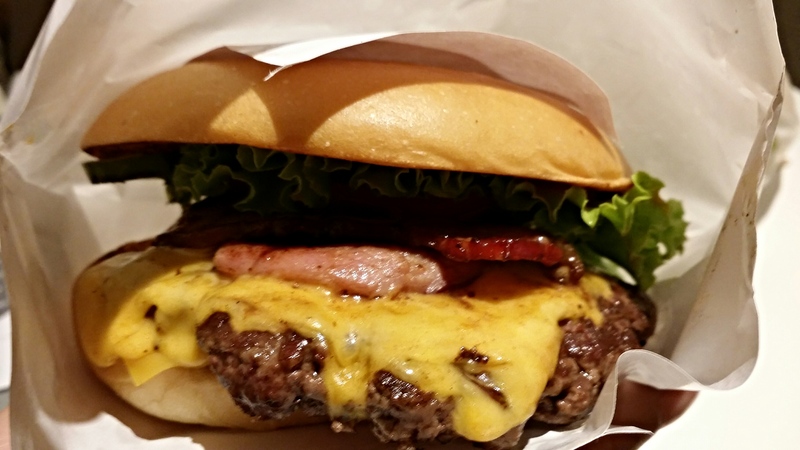 Cheese & Bacon. The Cheese^10 because, well, bacon! 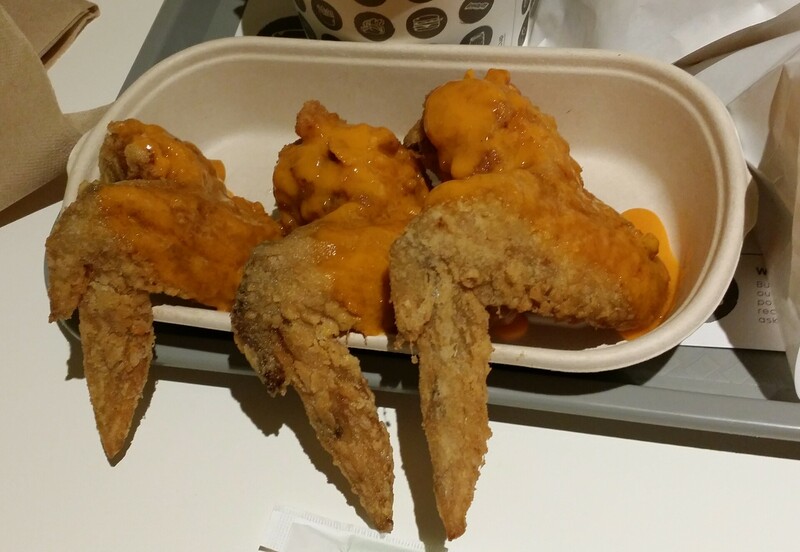 Crispy hot wings with classic hot sauce. You know how I kept saying all the above mentioned foods weren’t spicy? This is not one of them. It definitely packed a tangy, spicy punch and I could not help but mop up every last bit of the sauce. The skin was gloriously crispy without being oily. So crunchy that, without meaning to, crumbs fell into my burger and then into my mouth. Mmmm texture. Defs gonna try the version with Szechuan pepper next time. 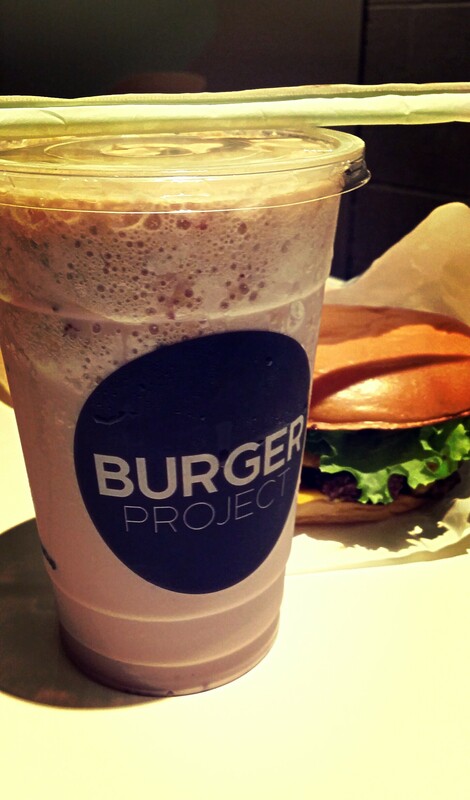 Wash it all down with a cold, creamy strawberry shake. With added malt, or course. I kept browsing the web to see if anyone had compared the normal shake with the thick shake but no luck. Nonetheless, the normal shake was still pretty thick. 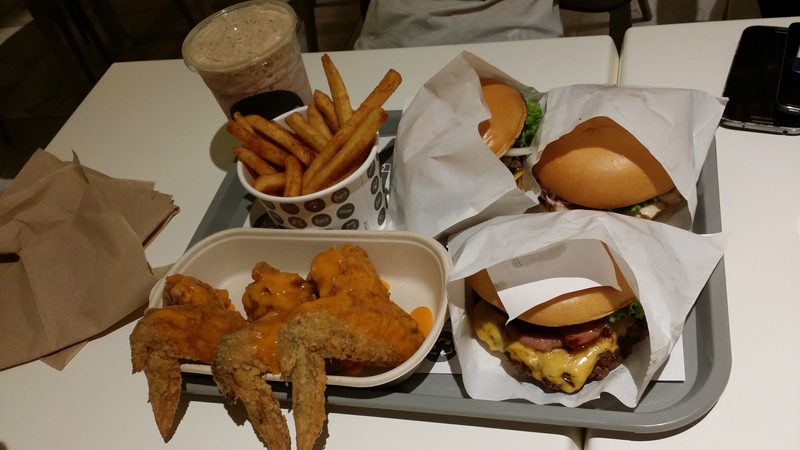 Someone compared it to the Shake Shack. I think it is slightly thicker, but it could have been the added malt. Very flavoursome and does not taste like fake strawberry but a blend (which is my favourite because I actually like the hot pink flavour). Impressively, the in-store menu matches the online menu perfectly (not necessarily true for many places). There was only one extra addition – the Australian Burger – but this may be due to Australia Day being a couple of days before. This meal was independantly sought and paid for by the authors. I read two word s today that made my heart stop. Yes, I know bacon stopped trending and, yes, I know it is no longer the cover child of foodie fascists fashionistas. But it’s just so darn tasty! Bacon is a flavour that pervades even the ficklest heart and has made all manners of breakfast (and other mealtime) foods infinitely better. From the 9th of February 2015, Cuckoo Callay at Newtown will be upping the bacon ante with amazing dishes like ‘What a Croque of Bacon’ (bacon, basil and vintage cheddar croquettes served with bourbon bacon, pea puree and two poached eggs) and ‘Ya Bacon Me Crazy’ (buttermilk waffles with house-made bacon, caramel and cinnamon ice cream, Black Forest Smokehouse maple bacon, maple syrup and chocolate coated bourbon bacon). They even have bacon drinks! Best of all, the bacon is from Black Forest Smokehouse, which means that Australian farmers get a cut of this sweet deal. Lard, have mercy on my soul! Clean and short matches so far for the Men’s Quarter Finals, but we’re in for a treat with a rematch of Djokovic and Wawrinka in the Friday 30th Semi Final match (last year’s final was a good one) and will Murray beat Berdych on Thursday night? Thursday 29th from 11am EST we will see the Women’s Semi Finals, which should be great! Serena Williams plays the next generation in Madison Keys (USA v USA) and Ekaterina Makarova and Maria Sharapova (RUS v RUS). That’ll leave an interesting (USA v RUS) match for the finals either way. Followed by the Murray v Berdych match at 7:30pm. All in all, the competition has been an interesting mix, with some early favourite exits, a good mix of Australians into the fourth rounds and an open door for this years champions. Wow, it’s been a little while since we added a post to our blog. Apologies for the general lack of updates, but I’m back (or so I say) for another round since it’s a new year and you make resolutions to do those things. Happy new year by the way too, we hope 2015 is being kind to you so far! Many moons ago I liked to play Origin games, but that sort of faded as they were bought over by the EA juggernaut. As a generous gesture though (though it is old anyway), EA is giving away its classic game – Theme Hospital for free! It’s not just the demo, but the entire game. It’s for a limited time and you will have to sign up for an Origin account if you don’t already have one. I’ve always enjoyed the simulation games and they take me back to fun times. I hope they do the same for you. The tales and adventures of Ant and Owl. Our blog of things to do, places to see and everything in between. Our thoughts and reviews on just about everything.